So that’s it. That’s Paul’s last page for LWI. I’ll make a blog post soon about it, but for now I’ll just leave his goodbye here. And you can go here to see his other work. 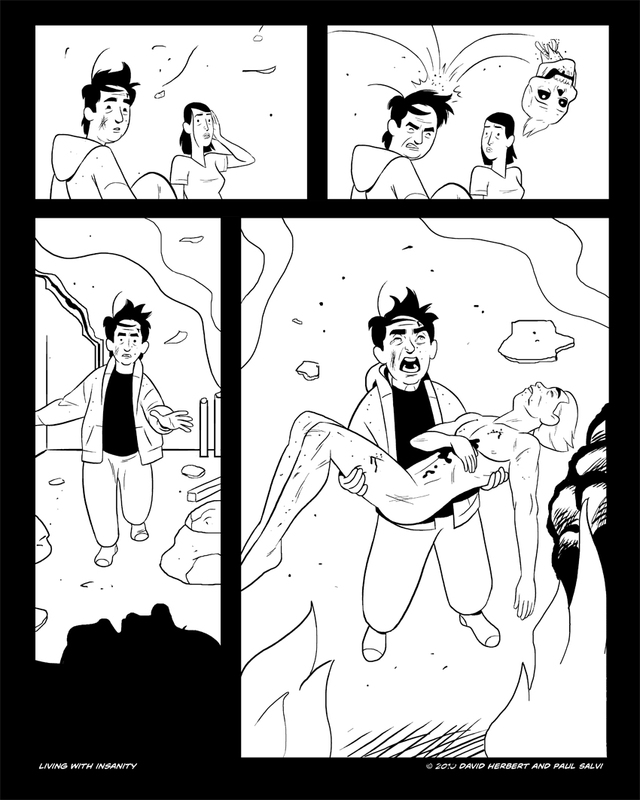 The strip above is the final Living With Insanity — with me doing the art, anyway. I decided a few months ago that it was time to move on and try other things including more personal work, projects that for better or worse are all-me, without a David to shoulder the burden of scripting, maintaining the site, and cracking the whip when I blow a deadline. Thank you for that, David, and thank you everyone who took the time to read and comment. Just so you know, got a virus alert on here again. Avast is catching it, but still allowing the page to load so it might not be as serious as the Malware Ahead browser problem you had before.